However, “Creating an eCommerce website” sounds like a lot of Work. Doesn’t it? But, in this article, you will see just how easy it is. With these easy options, you can create, manage and maintain your own website effortlessly. No need to hire IT engineers and no need to look for technical assistance every now and then for site maintenance. Just do it yourself. A quick look on the steps we’re going to perform. Also, we have a video guide on how you can create an eCommerce website with WooCommerce. First, comes the task to choose the right eCommerce platform for your website. While there are so many eCommerce platforms available to get started with your online selling website, I suggest using WordPress. Because WordPress is a free and open source CMS and there’s no limit to what you can do with it. WordPress has made it easier for non-technical people to build their dream websites on their own. Plus, we have the mighty WooCommerce plugin. It helps you turn your WordPress website into a fully functional eCommerce website. And what more? It is free too! We’ll always choose the hosting based on the kind of website you want to create. Here, when we are kick-starting our new online shop, we’ll focus more on a secure and fast host. You can choose a hosting provider based on many factors like – kind of website you are creating, functional area of your website, the number of visitors, size & scope of your website, security requirements, etc. Quick Page loading – Who likes waiting while shopping? No one. However, We find this hosting service best for any kind of websites. Here’s there affordable pricing plans. The domain name for your website is your permanent address. It’s a unique identity for your website and people will reach to your e-shop following that address. You know how important the domain name is. Basically, people will identify your online shop with your domain name, so choose it carefully. 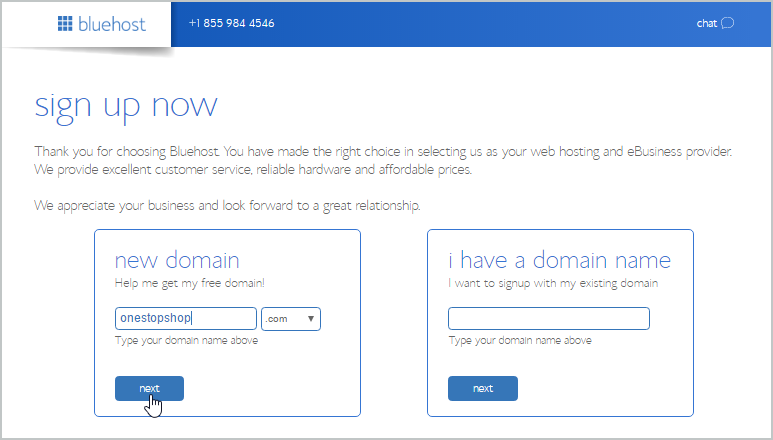 When you go for Bluehost hosting, they’ll let you choose the domain name when you check out for their hosting package. Type in the domain name you like and check if it is available for registration. So ultimately, you can choose your hosting plan, and insert the domain name and check out at once. Domain name is not something that you can change very often. So take a while to think about the domain name and go for an intuitive and interesting one. Okay, so we now have a domain name, hosting service and WordPress for our eCommerce website building. All of these themes are pre-designed and customizable. They come with distinguished features that you can use to create your website. For this article, I’ll use the StoreBox WordPress theme to create an online selling website. 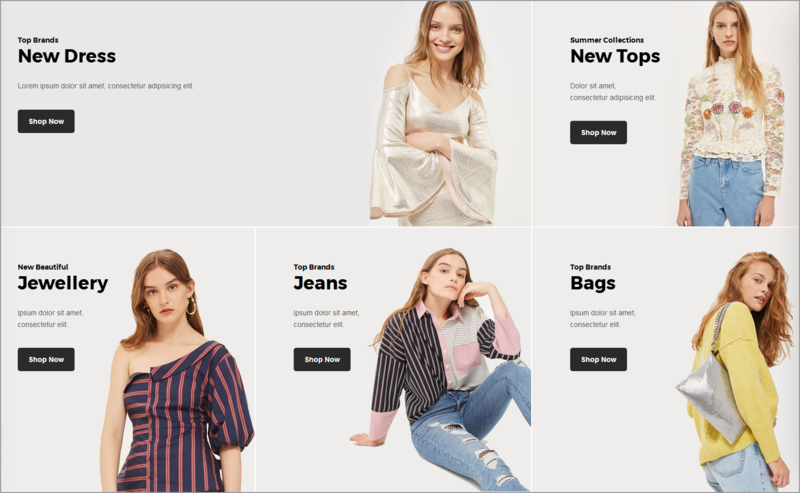 It is a high-quality eCommerce WordPress template that you can use for selling your physical as well as downloadable products. 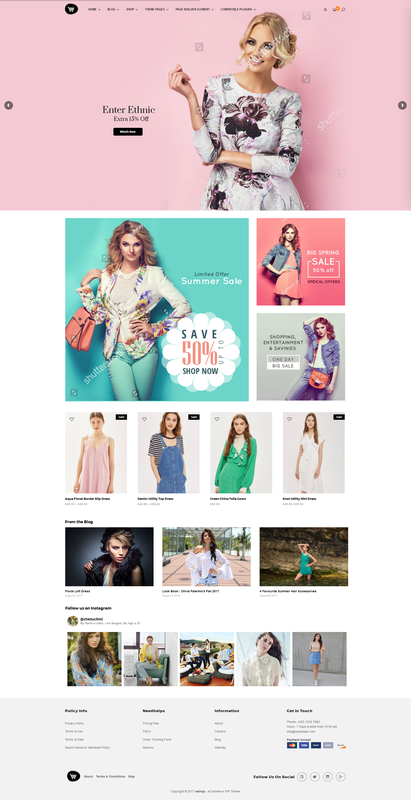 The theme runs on the WooCommerce Ecommerce Plugin. Download the theme and install it. Once Shopaholic is installed and running, you can install the WooCommerce plugin for advanced eCommerce features in your shop website. And wait, you get this WooCommerce theme for free! Yes, subscribe to BlueHost using this link and get your favorite theme or plugin from our store without paying anything. Just one another click to install the sample data and your website will turn into a ready to use eCommerce website. All you need to do now is to replace the sample content with your original products and pages and set up the transaction processing, shipping and order management options. 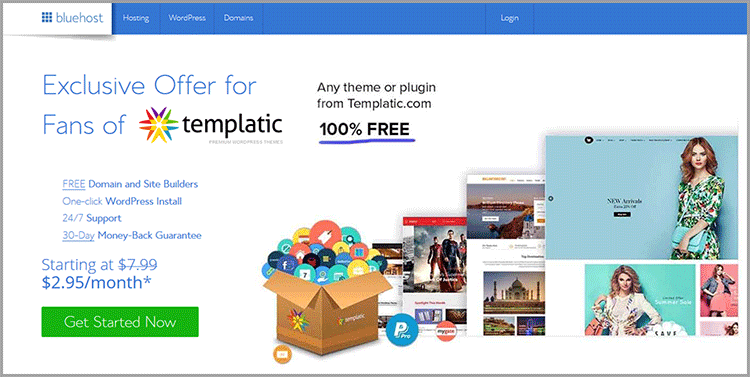 Once you get yourself a WordPress theme, the next thing you should do is to customize it according to your requirement. You can get creative by using the options and widgets available with your theme. If you do so, you’ll actually enjoy this part of your eCommerce website development. Personalize your website by setting your own logo. 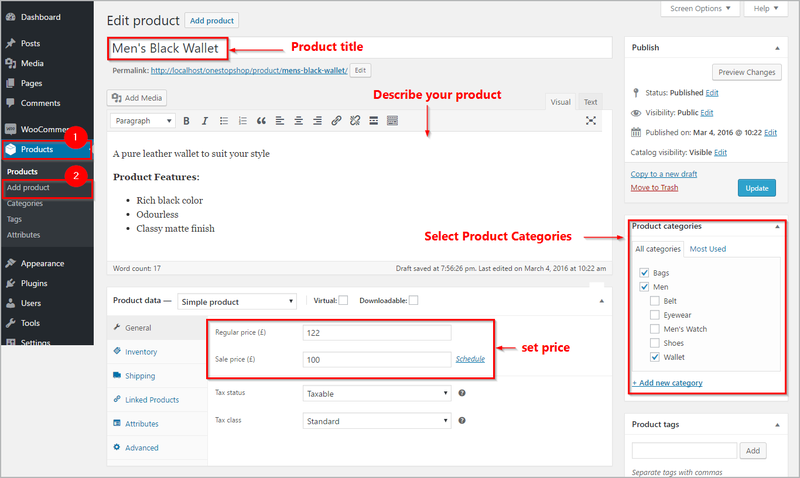 The StoreBox eCommerce theme lets you set logo and site title. However, if you don’t have a logo designed, you can just key in the name of your shop and it will be displayed elegantly as shown in the figure. Next, set up the colors according to the subject of your website or as per your choice. You can choose the color of your site using the color picker. So your website can have any shade of color you want. 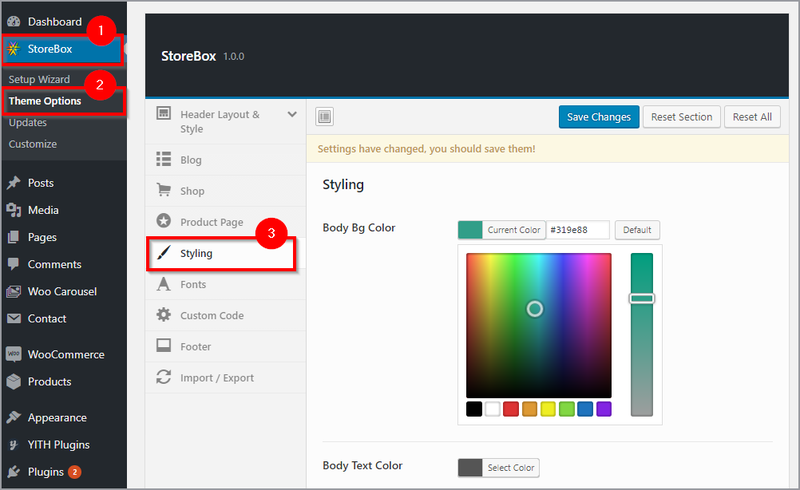 However, for your convenience, the color scheme of the StoreBox WordPress Theme is divided into color groups. For instance – The color group secondary affects the color of some buttons, subtitles, and links. The background color will only change the background. Now when you’ve got your website running, you need to make it work the way you want. And therefore, a little bit of reorganization is required. You can log in to your dashboard and have a look at all the widgets you have at your hand. You can use it by dragging and dropping the widget into the widget area. With the easy options, you can configure the widgets to show the exact details you want to display. With the above steps completed successfully, your website is now ready to display your products for sales. You can now log in to your dashboard and easily add products to your WooCommerce based eCommerce website. 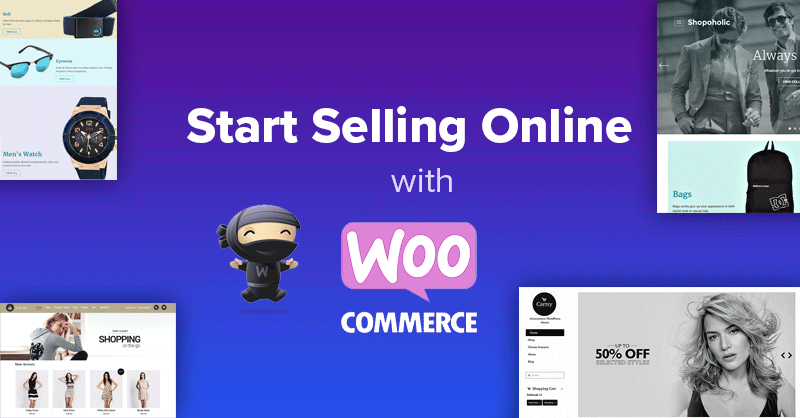 Follow two easy steps to add products to your WooCommerce based online selling website. But before that, we will need to create some categories. Besides, there are many other benefits of proper categorization. So first, jot down all the categories(and their subcategories) that your products would require. For instance – For a book selling a website, the categories will be fiction, Romance, history, autobiography, etc. While that for a fashion store will be totally different. While selling clothes online you’ll generally provide clothes at in the categories of men wear, Women wear, and Kids wear. Under each of these categories, there can be a number of sub-categories like Casual Wear, Formals, Summer dresses, etc. While that for a fashion store will be totally different. While selling clothes online you’ll generally provide clothes at in the categories of men wear, Women wear, and Kids wear. Under each of these categories, there can be a number of sub-categories like Casual Wear, Formals, Summer dresses, etc. A thoughtful and precise categorization of products on your eCommerce website will surely enhance the user experience. It’s quite simple to see. Imagine a person coming to your online electronics store and searching for a toaster. Now instead of going through all the products on your site, he can directly click on Kitchen appliances and find the sub-categories called “Toaster and Sandwich Makers”. This makes it easy for the visitors to find the products of their choice, instantly. Without wasting time on the products that they’re not looking for. 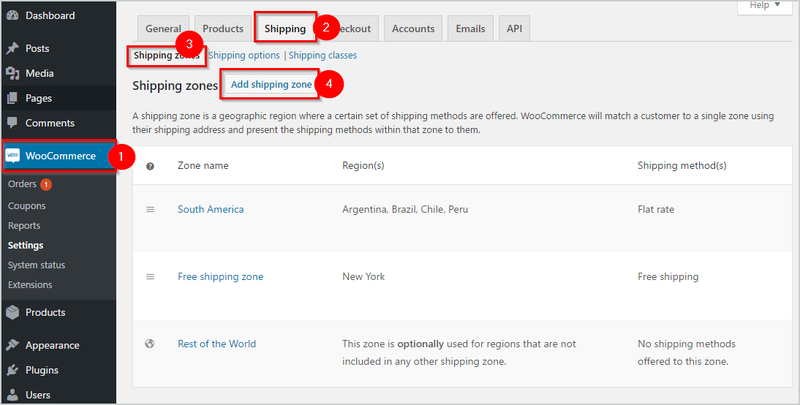 Contrary to how complicated and time-taking it looks, adding a product with the WooCommerce options is a cakewalk. Adding a product to your WordPress website won’t take more than 5 minutes. The process is as follows. Provide a suitable title for the products you add to your website. This is basically the product’s name. It tells the potential buyers about your product. An example of an insightful title is shown in the image below. For instance – Consider the title “Blue Lady Jasmine deodorant for women – 800 ml”. It tells you a lot about the product. We’re talking about a Jasmine flavored deodorant, that is for Women and the brand is ‘Blue Lady’. Titles like this do not only help SEO but also helps. Titles like this do not only help SEO but also helps the visitors find their products easily and quickly. There’s no need to explain the role of product images on your eCommerce website. The images say it all about the product. With WooCommerce and WordPress, you can add multiple images of a product for your eCommerce website. PS: You must have seen a few website where the cursor on a product image shows a zoomed version of the image section. 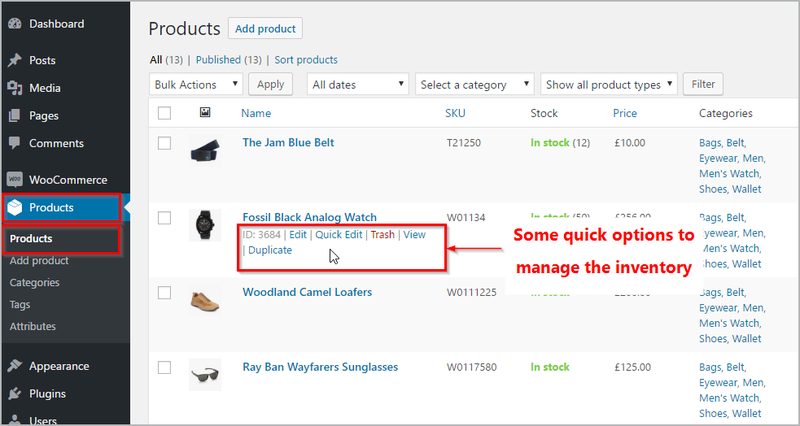 You can easily achieve this using the YITH WooCommerce Zoom Magnifier or the WooCommerce Image Zoom plugin. This section lets you write down the details about the product. Find a few words to let the buyers know what the product is all about. The details here do the job of the salesmen you have at your physical store. Use this section to convey all the important qualities or characteristics of the product. E-commerce websites are the kind of websites that involve a large amount of transaction processing. Against the goods your users’ purchase, you want your website to be able to accept those payments. 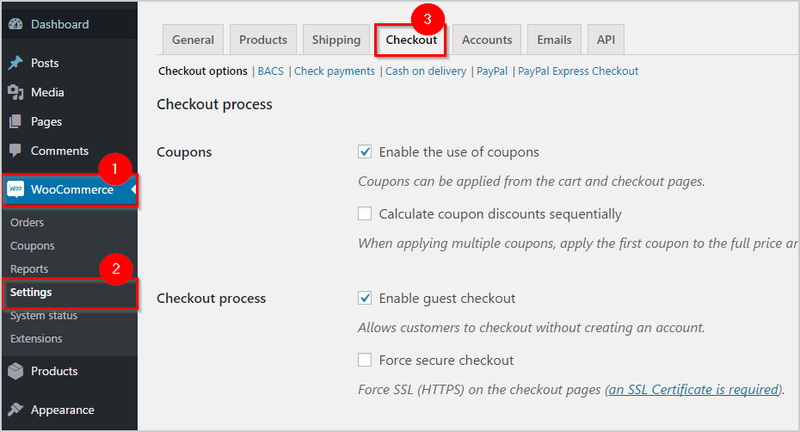 To simply manage the payment options of your WordPress eCommerce store, you can go to the checkout settings page. 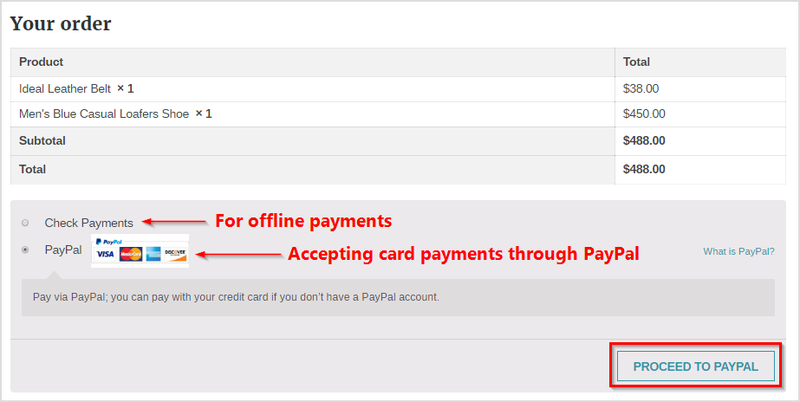 You can use this guide for Payment method settings with WooCommerce. WooCommerce allows you to integrate the payment processor of your choice to accept online payments through your eCommerce website. The payment gateways are the modules directly responsible for how you can accept payments through your WordPress eCommerce website. However, flexibility is one of the best things about WordPress and so you can choose from a large range of WooCommerce payment processors. Be it a general store with physical products or an eCommerce website selling products, inventory management of a store is a vital process of store management. Thankfully, WooCommerce comes with all the features to let you manage the inventory very easily. Check out the complete details on how you can manage inventory with WooCommerce. With the quick edit options, you can instantly manage the inventory, change categories of the product, manage tax classes, prices, etc. 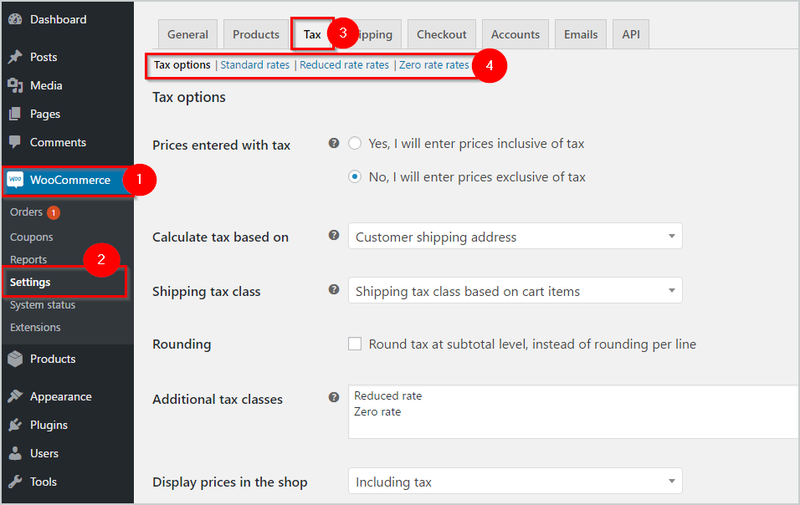 WooCommerce lets you easily define the tax classes for your products. The tax classes are basically tax rules that are different for different product groups and buyer locations. Once you enable taxes, you will be allowed to control all the aspects of how you want to charge tax by navigating to the dedicated tax tab. Create tax classes as per your requirements. 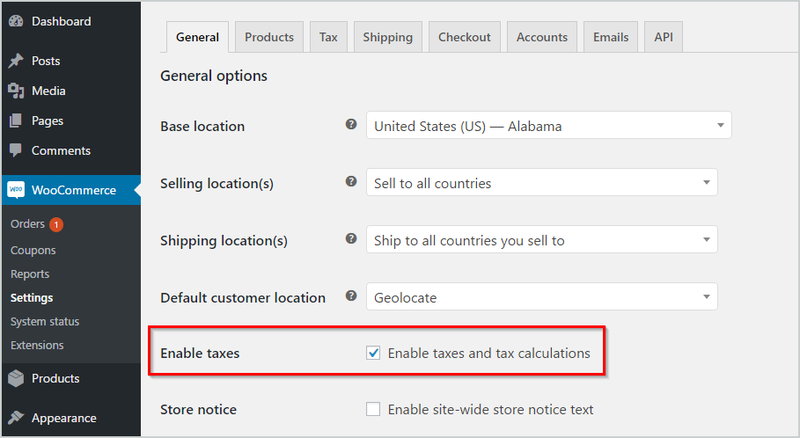 The tax will be automatically calculated on each taxable product on checkout. Also, you can define the discounted price for each product, enter the discount commencement and end date. So for that specific period, the users can buy the product at a discounted price. When a person places an order, the smart WooCommerce will reduce the inventory, accept payments and show you the order status. Once, the order is placed by a customer, you will be able to view it from your dashboard. Each new order will be assigned a unique order id along with order details and the order status. Here is a complete guide on How you can manage inventory with WooCommerce. For the delivery of the physical products sold through your website, you will have to promote a safe and timely delivery. Ideally, you should acknowledge the estimated time of delivery for a product. And the best practice is to ensure that the product reaches the buyers quickly once the order is received. It totally depends on you if you want to impose the shipping charge or not. If the shipping charge is to be accepted, it will be calculated during the customer’s checkout. On the other hand, for the delivery of goods, you will need to hire some eCommerce logistic companies. They responsibility collect the products from your warehouse and deliver it to your customers. Mostly, such services provide the customers with the “Tracking Code”, through which they can trace the location of their goods during the delivery process. If the operational level of your website is limited to a certain region, local logistic services prove to be more efficient. Anyways, you should always go for a logistics service that assures you safe, affordable and timely delivery of your products to your customers. And as promised, here’s the video of this entire process. You can watch the video on how to create an e-commerce website with WordPress. With the availability of the CMS and eCommerce platforms, creating an eCommerce website has become easier. You won’t need to hire experts to get your work done. So even if you are not a programmer or computer expert, you can create and maintain your online shop easily. Besides, the WooCommerce and the theme documentation can help you set up your website easily. And now is the perfect time to take the first big decision that can change the way you look at running a business. Digitize your shop and let more and more people buy your products regardless of physical boundaries.